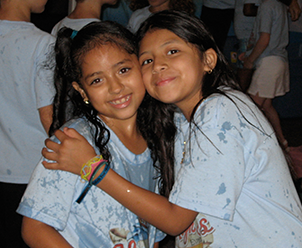 Casa Chirilagua’s programs arose as a loving response to our neighborhood’s cry for quality academic support as a way to help students achieve grade level standards, to prevent involvement in risky behaviors, promote character development and help students discover their God-given uniqueness. We envision Casa Chirilagua growing alongside the people of our community. We plan to add new grade levels to our programming as our students mature, supporting them through their entire academic careers, helping to develop a love for life-long learning as they discover who they are created to be. Our restored systems programming encourages standards of justice and living through Christian Community Development classes, quarterly prayer meetings and a community resource committee.